Induction of labour is frequently performed for pregnancies of more than 41 weeks gestation to reduce perinatal mortality. 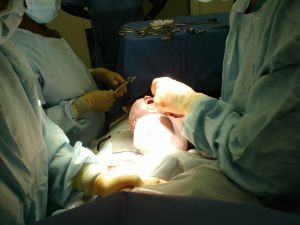 Induction of labour beyond 37 weeks of pregnancy can reduce perinatal mortality (death before, during or shortly after birth) without increasing caesarean section rates, according to a study published on bmj.com. However, induction is associated with a greater risk of admission to a special care baby unit. 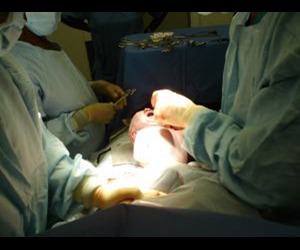 Induction of labour is frequently performed for pregnancies of more than 41 weeks gestation to reduce perinatal mortality. Induction at term (beyond 37 weeks) can also reduce complications, particularly when a mother has existing health problems like high blood pressure. Yet there has been no large study examining the risks and benefits of induction at term on newborn deaths. This information is needed to help guide decisions about pregnancy management. So a team of researchers in Scotland compared rates of perinatal mortality and maternal complications after elective induction (induction of labour with no recognised medical indication) and expectant management (continuation of pregnancy to either spontaneous labour or induction or caesarean section at a later date). Using Scottish birth and death records, they analysed data for over 1.2 million women with single pregnancies who gave birth after 37 weeks gestation between 1981 and 2007. Outcomes were adjusted for factors such as age at delivery, whether the mother had given birth before, birth weight and deprivation. At each gestation between 37 and 41 weeks, elective induction of labour was associated with lower death rates compared with expectant management, without increasing the need for a caesarean section. For example, at 40 weeks gestation, deaths occurred in 37 out of 44,764 (0.08 per cent) in the induction group compared with 627 out of 350,643 (0.18 per cent) in the expectant management group. However, elective induction of labour was associated with increased rates of admission to a special care baby unit (8 per cent) compared with expectant management (7.3 per cent). This means that for every 1,040 women having elective induction of labour at 40 weeks, one newborn death may be prevented, but this would result in seven more admissions to a special care baby unit, explain the authors. Although there’s a possibility that some other unmeasured (confounding) factor may explain these results, the authors conclude that elective induction of labour at term 'has the potential to reduce perinatal mortality in developed countries without increasing the risk of operative delivery."